Free download and convert (2014 - 2018) Cannes Film Festival opening ceremony, or other videos show from YouTube, or other site! Cannes Film Festival, along with other two - Berlin Film Festival and Venice Film Festival, are the three largest international film festivals in Europe. 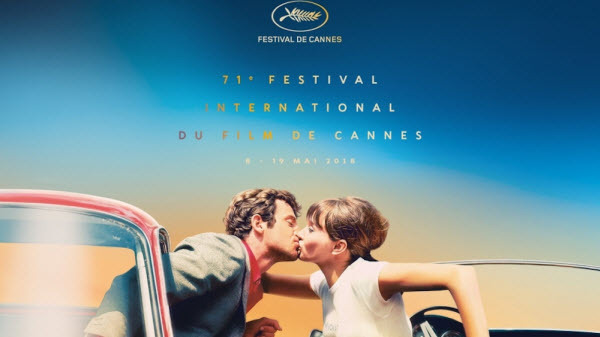 The 71st Cannes Film Festival (2018) was held from 8 to 19 May 2018. Official selections include In Competition, Un Certain Regard, Out of Competition, Cinéfondation and Short Films. It is really a time to look forward to, just as the Oscars. In this article, we will explain how to free download Cannes Film Festival 2018 HD video, be it openning ceremony video, closing ceremony video, red carpet or other, from YouTube or other sites for offline playback, or editing for special purposes. Every year, we cheer for Cannes Film Festival, because of the pre-game show - red carpet, and appreciation of fantastic movies. We can get many conversation peices at Cannes. It is regretful if you miss live Cannes Film Festival video, be it fascinating red-carpet show, inspiring opening ceremony or awarding event for the top prize Golden Palm. If this is the case, you can watch online Cannes Film Festival video online later in YouTube. Or, use this solution to free download Cannes Film Festival 2018 from YouTube for offline smooth playback. And it is useful to apply downloaded Cannes Film Festival video to mobiles. -	I need a program to download 1080p from youtube. I don't want to mess up my computer testing 10+ tools. -	I'm looking for a YouTube down-loader that works well meaning its spyware and ad-ware free and that I can use the downloaded files in order to convert them to MP4 or similar. Luckily, there's a list of top free YouTube downloaders, among which WinX YouTube Downloader is the best. WinX YouTube Downloader is an absolutely clean program to free download any video from YouTube and other 300+ sites, be it SD, or 1080p HD/ 4K UHD Cannes Film Festival video and even 3D video. It allows users to download Cannes film festival videos in 2018 or earlier years to MP4/3GP/FLV/WebM video format with ease. Only four steps are required to download 2018 Cannes Film Festival video, provided that you have downloaded and install WinX YouTube Downloader. Step 1. Launch and paste URL (the URL of Cannes Film Festival in YouTube or other supported sites) for information analysis. Step 2. Choose an output plan. After video information analysis, several output plans with different resolutions, formats, size and codes will be listed. Check one as you like. Step 3. Specify target folder to store Cannes Film Festival video downloaded. Step 4. Hit "Download" to begin free downloading. If you need to download Cannes Film Festival video to mobiles, just transfer the downloaded videos from PC to your mobile handsets via a USB cable. If the output format is not what you want, it is available to convert Cannes Film Festival YouTube videos to AVI, WMV, MKV, AVCHD, MOV, M4V, etc by WinX HD Video Converter Deluxe. Note: Software producer does not advocate illegal use of YouTube videos and suggests you to respect the copyright of the contributors. Before releasing the list of 2018 Cannes Film Festival winners, heated discussion mainly focus on the following top 10 most anticipated movies. You can watch official trailers on YouTube or get the trailers downloaded before going to cinema or purchasing DVDs. If the movies are able to live up to our expectations, why not find a solution to rip and copy the Cannes movies from DVD for later playback? Tip: When these 2018 Cannes movies are distributed online legally, you can also use the guide above to get them downloaded for offline playback and collection.